Mars Express was launched by the European Space Agency (ESA) in 2003 on a mission to explore the surface of the Red Planet from both orbit and ground level. The ground-based inspection didn’t exactly go to plan, but that hasn’t stopped the probe from spending a decade painstakingly mapping the surface of Mars from every conceivable angle. 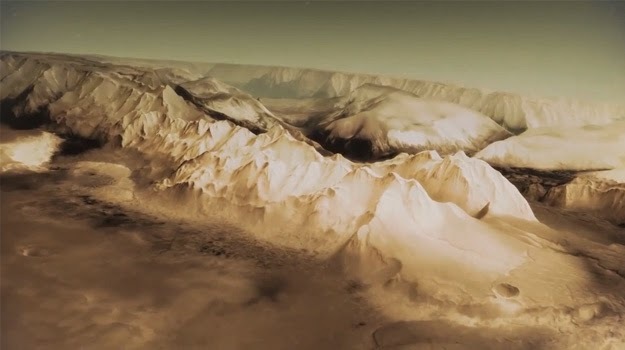 Now the ESA has assembled a video based on the topographical data gathered by Mars Express, the effect of which is like flying over the sweeping plains of Mars. The video is part of the celebrations around the probe’s 10-year anniversary, which started in June of this year. The craft didn’t actually make it to Mars until the end of 2003, so we’re also nearing the 10 year mark of its data collection activities. Mars Express has orbited the planet almost 12,500 times since its arrival and has mapped almost the entire surface of Mars. Despite launching with a lander called the Beagle 2, all the data collected by the Mars Express mission has come from the orbiter. The Beagle 2 rover suffered a communications failure shortly after separating from the main spacecraft and was never heard from again. So, it’s lucky the probe has performed its duties so admirably these past 10 years. The German Aerospace Center (DLR) is the specific group behind the commemorative video, and a member of its planetary cartography team, Stephan Elgner, wrote the upbeat techno-inspired music accompanying the video. The DLR is also behind the development and continued operation of the High Resolution Stereo Camera responsible for the detailed topographical data acquired by Mars Express. This level of detail is possible because of the innovative way engineers designed the Mars Express High Resolution Stereo Camera. The camera itself is capable of taking 2×2 meter shots of the ground, but it consists of nine individual image sensors. Each one is used to sweep the surface from a different observational angle. The result is a very accurate 3D model of the Martian surface. Thus, the flyover reel shows us vast ancient lava flows, gigantic mountains, and dry riverbeds in stunning detail. If a researcher wants to know the slope of that mountain or the thickness of the lava bed, it’s all in the data. 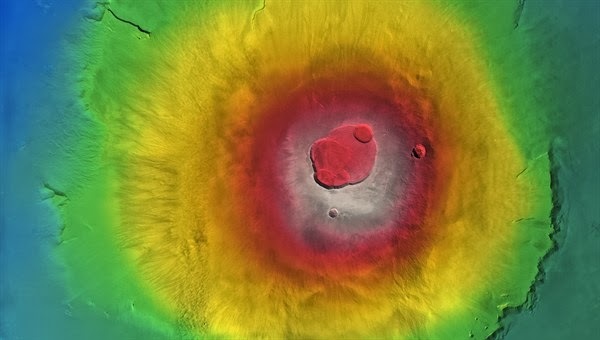 Researchers from the ESA are so pleased with the performance of the Mars Express orbiter, its mission has been extended five times, with the current end date in 2014. It was originally supposed to be mothballed two years ago, but if it keeps pumping out data the likes of which was used to make the flyover video, maybe Mars Express will see a few more mission extensions.